American-born Chinese is called Abc by Hongkong people who sort of recognize the difference but refuse to accept the fact that Abc isn't Chinese. That's why even "Chinese" food in overseas also get critizied. The food good or bad I'd say really depends on which restaurant you go. 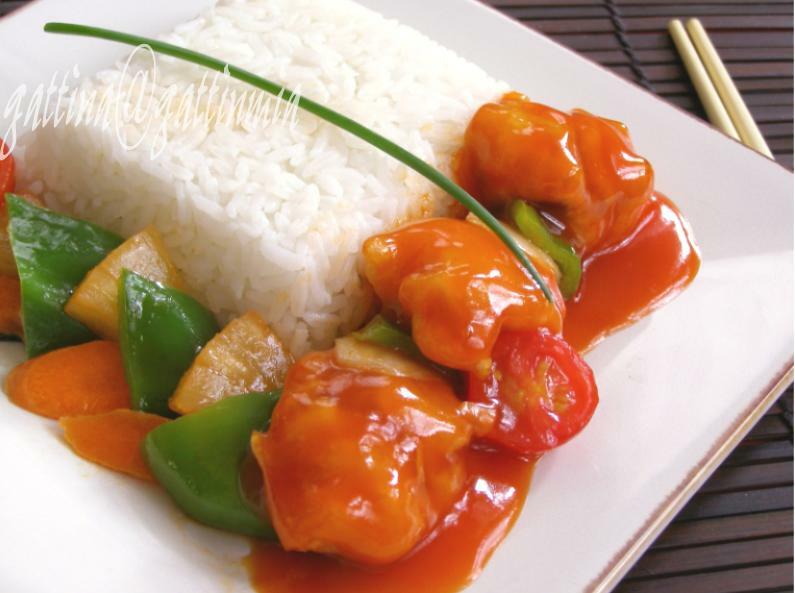 There's one Chinese restaurant in my town it makes the best sweet & sour pork - the sauce is not tomato-y (a problem I found in most home-made recipes) and the meat is very crunchy. So in the following recipe of mine I use both manufacturer- and home-made sauces to get the result I want. Besides, the meat is fried twice so that the batter is crunchier and less easily gets soggy. 1 to 1 1/2 pound(s) pork. Cubed. You can use "char-siew" pork if you buy it from Chinese butcher, or meat from spare ribs. 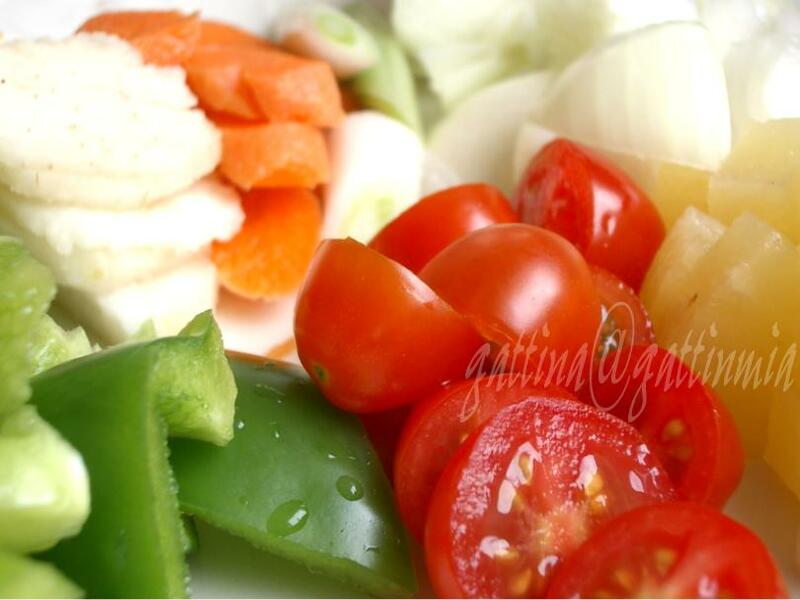 Vegetables: diced garlic; cut 1 spring-onion, white part only; diced 1 shallot; diced 1 onion; diced 1 red chilly; sliced 1 carrot; sliced 3 water chestnuts; cut 1 green bell pepper; cut 2 pineapple rings; cut tomato, for big one use half, grape-size use 3 or 4. 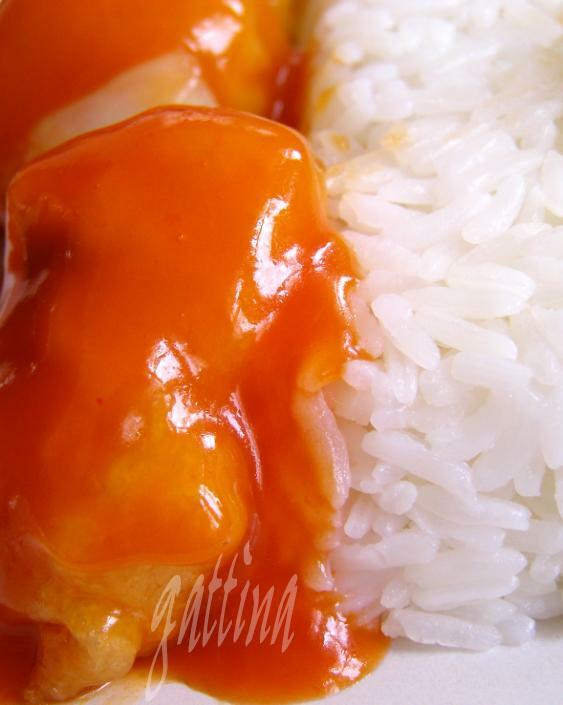 Sauce: juice from 14 oz-size can pineapple (you may not need it all); 1 to 2 Tbps ketchup; 1 Tbp rice vinegar; some cane sugar; two packs (2.8 oz each) of Lee Kum Kee's Sweet and Sour pork sauce. Optional: fish sauce. Season the meat with a bit chicken powder (e.g. Herox bouillon, powder type), sesame oil, white pepper, sugar, salt. Wait for 30 mins. Heat the oil. Make the batter - mix the dry ingredients with a bit of salt with sugar. Add water until the consistency is similar to that of pan cake. Coat the meat with batter, deep-fry in medium-hight heat for 1 or 2 minutes, drain. It's ok if the batter is still white. Don't over-crowd the wok/deep-fryer. Deep-fry the meat again, on medium-high heat, until they're gold brown and cooked. Don't over-crowd the wok/deep-fryer otherwise the batter won't be crunchy. Drained. In a wok or large frying pan, heat 2 or 3 Tbps of oil, add garlic, shallot, red chilly and onion, fry for 1 min. Add water chestnut, bell pepper and carrot, fry (medium-high heat) until they're half way done. Scoop the food on a plate. 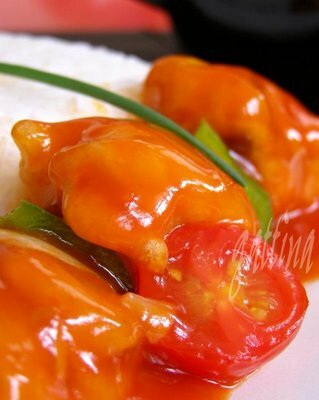 Use the same wok, on medium heat, add spring-onion, tomato and pineapple, add the sauce, lower the heat after it boiled. Taste and season (sugar, a bit of salt/ fish sauce) if necessary. Raise the heat to medium or high, add the vegetables back to the sauce, taste and season again. Add thickening (cornstarch + water) if the sauce is too watering. Add meat but just stir for a few seconds, turn the heat off. Serve immediately. Beautiful photos, such vivid colors !!!! Well, you must be getting bored with my comments, i always seems to have only one word for you, and that is WOW !!! !